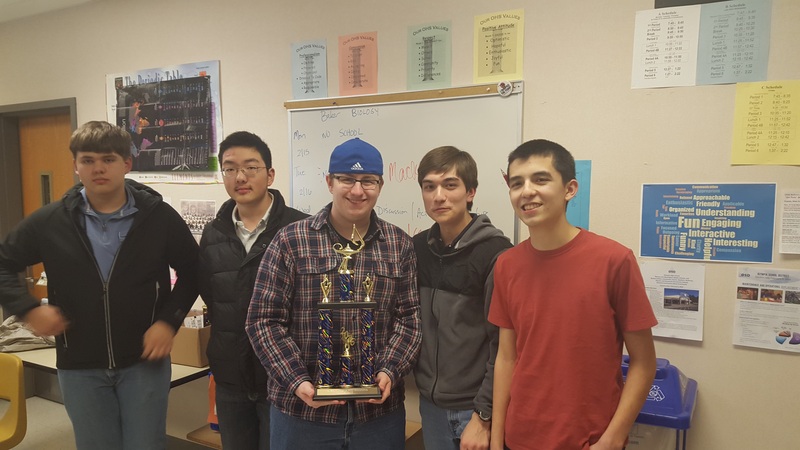 A small contingent of Camas High School Knowledge Bowlers traveled to Olympia High School on Saturday, 02/20/16, to participate in the 2nd annual Olympia Invitational Tournament. A blended Varsity 2 and Varsity 4 team took on some of the toughest competition in the state, including last year’s 4A champs, which I’m happy to report we beat! After 1 written and 6 oral rounds, Camas emerged as the #2 team out of 18 participating teams, just missing 1st place by one point. Drat! We had a blast participating in this event. A special thanks to our hosts Olympia, and congrats to the Eatonville Alpha team (2A) who won it all. Thankfully we don’t have to face them if we make it to State! At any rate, nice tune up for Regionals, and hopefully good practice for State!